This little treasure of a dessert was created spur of the moment for Father’s Day and turned out great the first time. The only sugar in this recipe is from the bananas. The fats in the cream and walnuts help balance it out and keep your blood sugar from spiking. Put butter in a medium saucepan and add bananas by breaking them into bite size pieces. Add stevia and put lid on. Cook on low heat for 2-5 mins or until bananas are completely softened. Mix thoroughly and spoon into 2 bowls. Use a hand mixer and mix whipping cream and a couple drops of vanilla stevia in a large bowl. In a small pan, lightly toast the walnuts with a little butter. Top banana pudding with whipped cream and walnuts. Serve warm. 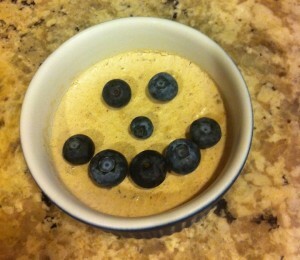 Another delicious sugar-free dessert for you Choosing Health’ers! This one is higher in carbs than the panna cotta, but still won’t raise your blood sugar like most desserts. Soak tapioca pearls by adding them to cold water and store in fridge for at least 2 hours (preferably overnight). Mix milk, stevia, eggs and salt in a saucepan. Strain tapioca pearls and add them in. Bring to a boil over medium heat while stirring constantly. Let boil for 15-20 minutes until mixture is smooth and creamy. Remove from heat and stir in vanilla. Chill completely before serving. 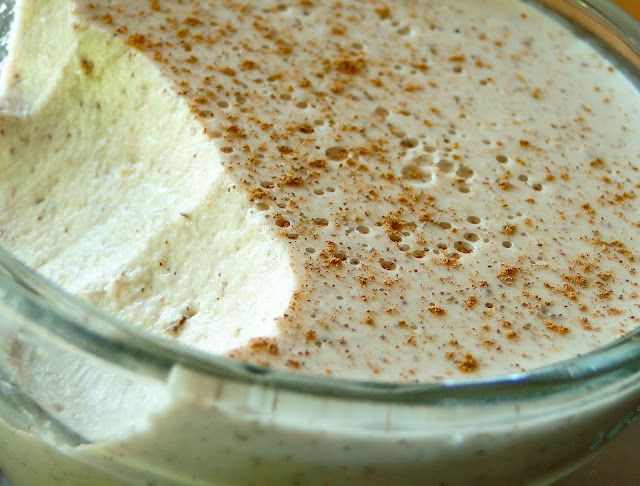 *Optional, top with freshly whipped organic cream with 5 drops vanilla stevia blended in. SO tasty! This tastes like horchata! Very tasty and easy to make…and most importantly, there’s no sugar!!! This dessert uses stevia instead so it won’t spike your blood sugar like other desserts. It tastes sweet and delicious and you can enjoy it guilt-free! Check out the video here. In a medium saucepan, steep ginger tea in coconut milk and agar flakes for about 5-10 minutes on medium/low heat. While lightly simmering add cinnamon and stevia. You’ll know it’s done when the agar flakes have dissolved. Pour into cups or small bowls and chill for 2+ hours. Top with sprinkled cinnamon, berry compote, or slivered almonds. Enjoy! Yes. Try it. You’ll like it. 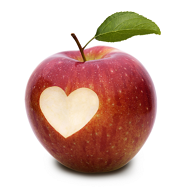 http://choosinghealthnow.com/wp-content/uploads/2016/05/apple.png 0 0 admin http://choosinghealthnow.com/wp-content/uploads/2016/05/apple.png admin2011-06-18 11:15:082011-06-18 11:15:08Soup for breakfast?! 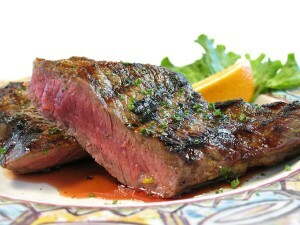 Saturated fat in grass-fed beef is good for your health. An article by Jack Challem titled A Big Fat Mistake reveals the growing acceptance that carbs, not saturated fat, contribute to poor health. He discusses some facts which aren’t new, but that haven’t been acknowledged by the media at large. Mainly, total cholesterol is not a good indicator for heart attack risk since half of heart attack sufferer’s have normal cholesterol. What does appear to be a helpful diagnostic tool is the pattern of LDL (low density lipoprotein) that we have. Pattern A LDL is not associated with heart disease, but Pattern B LDL is. While “pattern B” LDL consists of small, dense particles that are more likely to infiltrate blood-vessel walls and set the stage for blockages, high blood levels of “pattern A” LDL, which consists of large, fluffy particles, are associated with a lower risk of CVD. Saturated fats increase Pattern A LDL, which isn’t a problem. Sugar and carbs high in starches (breads, grains, cereals) drive our insulin levels up, lead to systemic inflammation and increase fat storage especially in our abdominal area. …as recent studies have revealed, we can’t really know what our ancestors ate with 100% certainty, and there is undoubtedly a huge variation amongst different populations. For example, we have the traditional Inuit and the Masai who ate a diet high in fat (60-70% of calories for the Masai and up to 90% of calories for the Inuit), but we also have traditional peoples like the Okinawans and Kitavans that obtained a majority (60-70% or more) of their calories from carbohydrate. So it’s impossible to say that the diet of our ancestors was either “low-carb” or “low-fat”, without specifying which ancestors we’re talking about. Eat less refined foods. If it comes in a package, it is refined. Try to make it from scratch instead or check the ingredients to make sure the components are less processed. Avoid reduced-fat choices and foods with trans-fats. Eat plenty of fresh foods and don’t overcook them. Buying local foods allows you to obtain fresher, enzyme rich foods. Integrate organ meats into your menu once in awhile. If you don’t enjoy the flavor, chop them up finely or grind them and add them to soup, meatloaf, stew, casserole, burgers, enchiladas…use your imagination. Organ meats from healthy sources are extremely good for you. Eat the right diet for you. Every vitamin and mineral in food has an affect on your body. It can either push you further out of balance, push you towards balance or have no significant affect. Knowing your Metabolic Type allows you to make educated food choices so you can eat the foods that optimize your health most of the time. Eat organic foods whenever possible. Especially important organic choices are dairy and the dirty dozen produce. 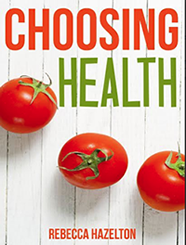 I hope all you choosing health’ers love and appreciate this guide! I called restaurants every evening for weeks to compile this list. How great is it to know in a glance which restaurants in our town offer organic food?! In case you missed Part 1, the reason for this endeavor was to make a tool to help us stick with healthier eating and reduce our toxic load when we dine out. For lunch or dinner, use this guide to ensure you are getting the most health for your buck. Seasonal availability affects choices, so make sure you ask the waitstaff what is organic whenever you dine out.